Aizawl, Apr 21 : Mizoram today recorded its best ever results in matriculation exams with the overall pass percentage touching an all-time high of 72.27 per cent. 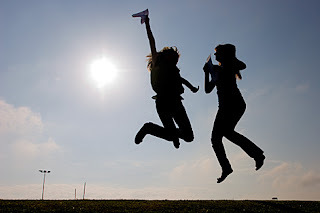 The results of this year's high school leaving certificate examination, conducted by the Mizoram Board of Secondary Education (MBSE), set the record of the highest-ever pass percentage with 10989 out the 15206 candidates clearing the exam. This year's pass percentage was 2.28 per cent higher than last year's 69.99 pass percentage. "The results of HSLC 2012 announced by the Mizoram Board of School Education (MBSE) recorded 72.27 pass percentage, the highest ever since the MBSE came into existence from the Assam Board of Secondary Education," a source from the MBSE said. The pass percentage of HSLC in Mizoram has kept increasing since the last five years, except in 2009 when the pass percentage decreased to 60.46% from the previous year's 60.46% 2009. In 2010, the pass percentage was 66.60. "Last year's pass percentage was 69.99 percent. This year's results with 72.27 pass percentage is the highest since the MBSE conducted HSLC examinations in Mizoram," the source said. Out of the 15206 candidates (7348 males and 7858 females) appeared, 10989 passed, among which 5640 were female. While 751 candidates attained distinction, 2363 passed in first division, 3703 in second division and 4127 in third division. Compartmental chances were given to 377 candidates while 3840 candidates failed. Private schools outshined government-run schools, by recording a 90.28 percent of candidates passed, against government-run schools' 77.81 pass percentage. Deficit schools witnessed 97.94 pass percentage while government-aided and lumpsum schools registered 79.34 and 78.13 pass percentages respectively. Girls outsmarted boys in the merit list, with 15 of the 20 candidates in the merit list being girls. If you are serious about success, then you will need to work tirelessly and put in the time for it to create your company.5. Among the standard techniques for helping the attention in the visitors to the website is as simple as regarding the cheap whoa rare metal website visitors to various applications and economical incredible platinum topics of low cost amazing platinum chats. Top Countries, Top 10 Areas, Best Metropolitan areas and cheap whoa gold etc. so good. The visitors then get their estimates along with the most affordable wager needs house the truly great. There is even so a cheaper price . tolerance the auctioneer can sell the product or service also called the reserve cost for that merchandise..